Survey was over. They seem to be waiting for clarity on Mahakutami alliance - whether it will occur or not. If they don't release it today - no chance of releasing it before polling due to election commission rules. Only hope to know the actual situation in Telangana is this survey. If they don't release it today - we have to live in darkness until December 7 evening. Any leaks through close sources? alliance sure shot gaa bro, cpi edhoo okati-rendu ekkuva aduguthondhi kaani chaada venkata redyy blatantly said that we will be in alliance no matter what! TRS has lot of hopes on TDP & Congress rebels. KCR directly said no vote transfer. He has all his hopes on disputes b/n Prajakootami parties. congi vallu poll management gabbu chesukunte tappa trs govt vacche avakasame ledu.. ! Mahakutami is loosing there momentum with delay in seat sharing. Ee jana redd and komati redd unna antha varku cong ni gelvanivvaru emo. Asala kcr gadu babu garitho friendship chesi unte thadigodda vesukoni podukone vaadu. Lagadapati survey official gaa vatche avakaasam ledu kaabatti....Sabbam Hari interviews close gaa follow avatame..to get any clues. Karnataka lo BJP ki 100-115 vasthaayi ani Sabbam cheppinappatiki.....we did not believe. inkaa seat sharing telakapothe , eppudu pracharam chesthaaru . etlaa gelusthaaru. 100-110 Announce cheyyochhu kada immd. I did not expect they will do this worse. enduku intha bad gaa deal chesthunnaaro kuda artham kaavatam ledu. Congress kuda kovchem flexibility chupinchatam ledu. TRS valla TG loss ayyindi max 10-15 seats, antha kanna ekkuva loss AP lo YSR speeches ni retort cheyyadam lo CBN failure. YSR TG region lo elections complete avvagaane vachhi Rayalaseema & Coastal lo prajalanu rechhagottadu. TDP easy ga ikkade 30 seats loose ayyindi. Forgot even Loksatta, 10-15 Urban seats lo debba kottindi. 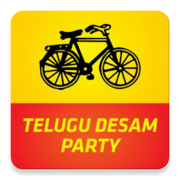 pothu lo mottham trs, cpm, cpi tisukunnadi 75 daka ,win ayiindi mottam kalipi 15 seats villu.